Hirado Kohsyo Danemon Kiln | MIKAWACHI WARE | "Hirado Kohsyo Danemon Kiln" is said to have established MIKAWACHI WARE along with Kyokon and is a kiln that is a direct descendant kiln of Nakazato Ei (Korai Baba). Hirado Kohsyo in its 18th generation is inheriting and continuing to polish the respective greatest crafts of white porcelain, dyeing, and fine engraving from the Edo period until today. MIKAWACHI WARE comes from the city of Mikawachi in Nagasaki Prefecture and begun in the Edo period (17th century). At the beginning, the porcelain was made by Korean masters, who were brought to Japan. MIKAWACHI WARE is the traditional porcelain with a history of about 400 years in JAPAN. The fine dyeing by pale blue colored chaplets on a pure white porcelain that originates from "Amakusa pottery stone" which is a raw material for the (pottery and) porcelain, said to be of the world's highest grade. The fine and elaborate workmanship had long been recognized as the "Purveyor ceramic kiln for the imperial and shogunate household” making vessels for the emperor and feudal lords. Since the 18th century, as a result of export to foreign countries, Hirado Kohsyo has earned high praise in Europe incl. royal courts and even today it is exhibited in world-renowned art museums such as the British Museum and the V & A Museum of art and design, and is widely loved all over the World. "Hirado Kohsyo Danemon Kiln" is said to have established MIKAWACHI WARE along with Kyokon and is a kiln that is a direct descendant kiln of Nakazato Ei (Korai Baba). Hirado Kohsyo in its 18th generation is inheriting and continuing to polish the respective greatest crafts of white porcelain, dyeing, and fine engraving from the Edo period until today. The "Hirado chrysanthemum fine engraving technique" in which the cutting out of flower petals one by one with craftsmen's hands, and it is decorative technique that requires careful technology, which will be calculated down to the smallest detail and perseverance from molding to firing, has been designated as Sasebo City Designated Intangible Cultural Property in December 2016. 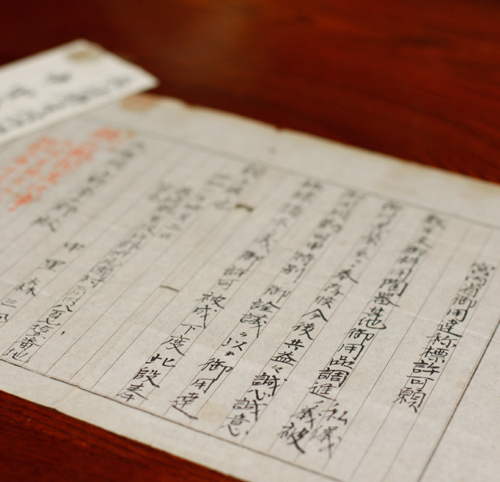 In addition, in October 1928, Hirado Kohsyo got the nomination from the Imperial Household Agency appointing us as official purveyors to the imperial family, and we are still continuing to serve. 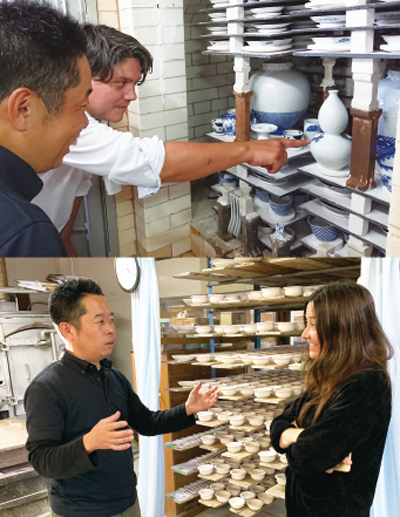 We at Hirado Kohsyo Danemon Kiln began expanding our business overseas in 2014 and are furthering our efforts with goals to revitalize the Mikawachi Ware production region by building recognition of Mikawachi Ware in overseas countries and encouraging foreign guests to visit our kilns directly. In the 18th century, Mikawachi Ware travelled to Europe. Today, Mikawachi will connect with the world once again. To advance our overseas business expansion efforts, we have been participating in international trade shows mainly in Europe and actively promoting through SNS platforms to raise awareness of our products across the world. The traditional beauty of the Hirado chrysanthemum fine engraving technique is not only an inherited result, but it is the result of permanent challenge for more distinctive expressions. We firmly believe, that it will definitely lead to the feeling of traditional beauty in Europe. While keeping the craftsmanship and tradition that have been inherited for 400 years, we will continue to make MIKAWACHI WARE to live and be loved in modern times. We would be very happy if you could enjoy the masterpiece that creates delicate and ornate space as an interior that enriches your life.